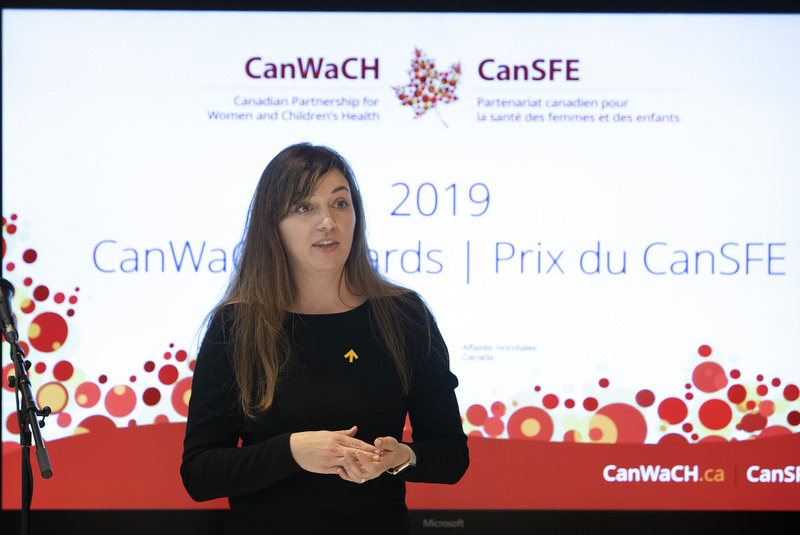 OTTAWA, March 8, 2019 – Four dedicated, exceptional Canadians and five civil society organizations will be honoured today in Ottawa for their work to advance the health of women and children around the globe. 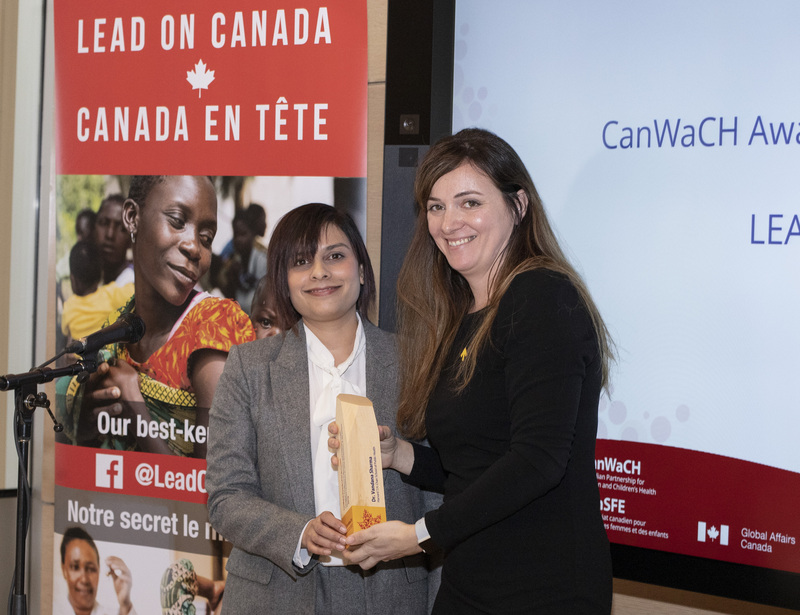 The second annual CanWaCH Awards for Excellence in Global Women and Children’s Health recognizes the significant contributions of Canadians who advance the health and rights of women and children globally through their unique efforts in five key areas: Leadership, Gender Equality, Measuring Impact, Youth Leadership and Partnership. The awards will be presented at a luncheon at the Museum of Nature and streamed live on the CanWaCH Facebook page at 1:00 pm ET. Following the awards ceremony, attendees will take part in the Museum’s “Courage and Passion” exhibit which celebrates the achievements of women in the sciences. The museum was also the site of the vote to enfranchise women in 1918. 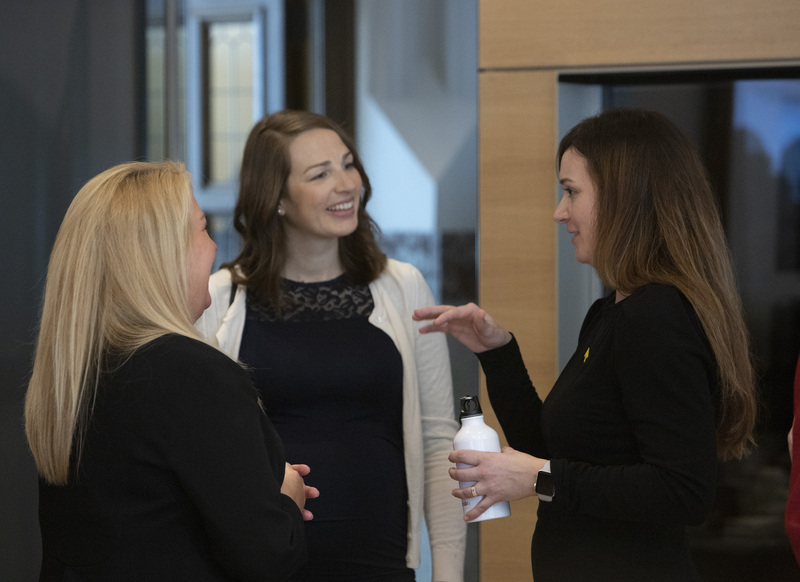 Recognizing an individual who has demonstrated exceptional leadership abilities that have motivated, inspired or resulted in action on a national or global scale, the advancement of work in global health for women and children. Dr. Aaliya Bibi is being recognized for leadership in women and children's health throughout Sub-Saharan Africa, West Africa, South East Asia and North America. Her contributions include her working closely with religious leaders to demystify barriers to family planning in Nigeria using Islamic teachings that integrate strong gender equality messaging. Recognizing professionals or volunteers aged 16-24 who have demonstrated leadership, dedication and/or courage and have made an impact in women and children’s health and rights. 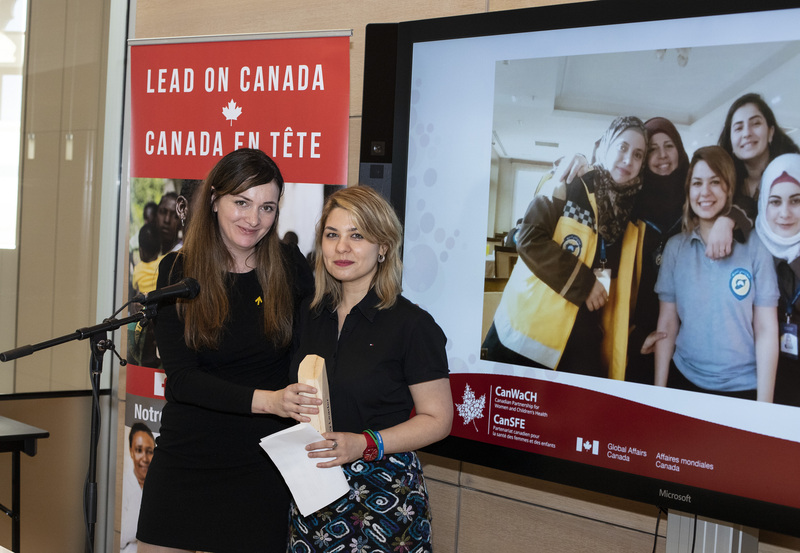 Muzna Duried is being recognized for her work as an accomplished young feminist advocate for marginalized women and girls in fragile environments and humanitarian settings, including in Syrian refugee camps and here in Canada. 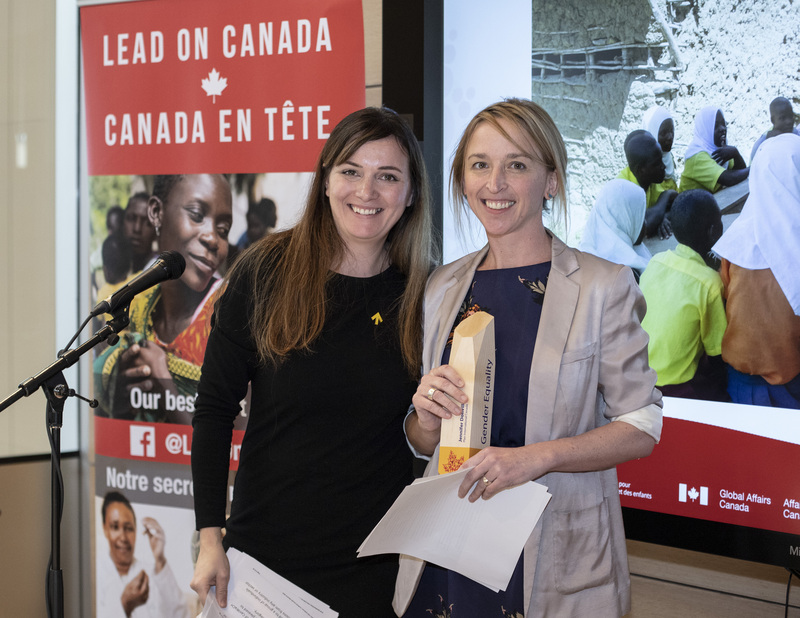 Recognizing an individual who champions the collection, analysis, use or sharing of data and monitoring and evaluation to communicate the impact of Canadian efforts in global health. Dr. Vandana Sharma is being recognized for her exceptional contributions to Canadian and global efforts in women and children's health by leveraging her expertise on impact evaluations and randomized controlled trials, capacity building in development and humanitarian contexts, and for her mentoring within the global health community on monitoring and evaluation. 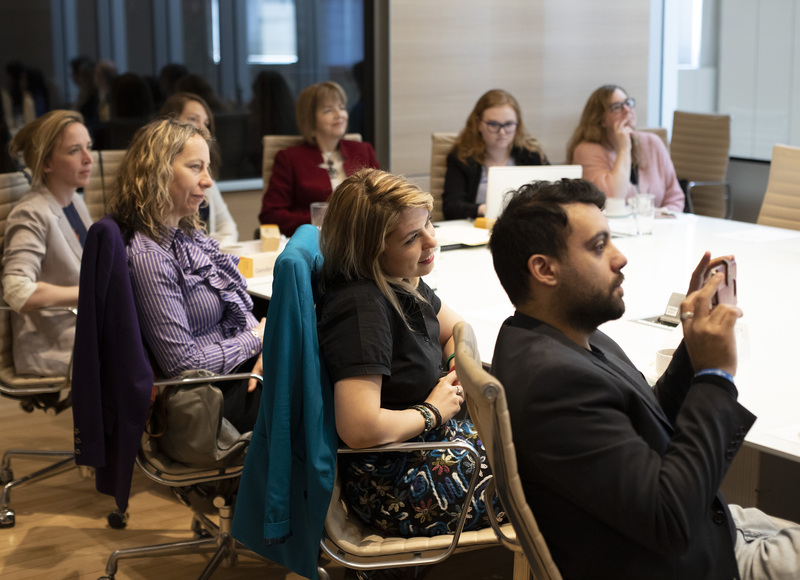 Recognizing an individual who has advanced, within the global health sector, gender equality policy or programming and/or a gender equality lens to programs, projects, organizational culture or communities. Jennifer Donville is being recognized for her important contributions towards the impact of Canada’s work in global women and children’s health through her leading role in the development of a robust architecture for gender transformative programming and measurement that incorporates women and girls' agency and empowerment when evaluating health outcomes. This award recognizes a group from any industry or sector who have collaborated through a project, program, initiative, event, platform, tool or research project that advances global health for women and children AND clearly demonstrates the power of partnership. ENRICH is a multi-year, multi-country program that aims to improve the health and nutrition of women and children in Bangladesh, Kenya, Myanmar, and Tanzania. 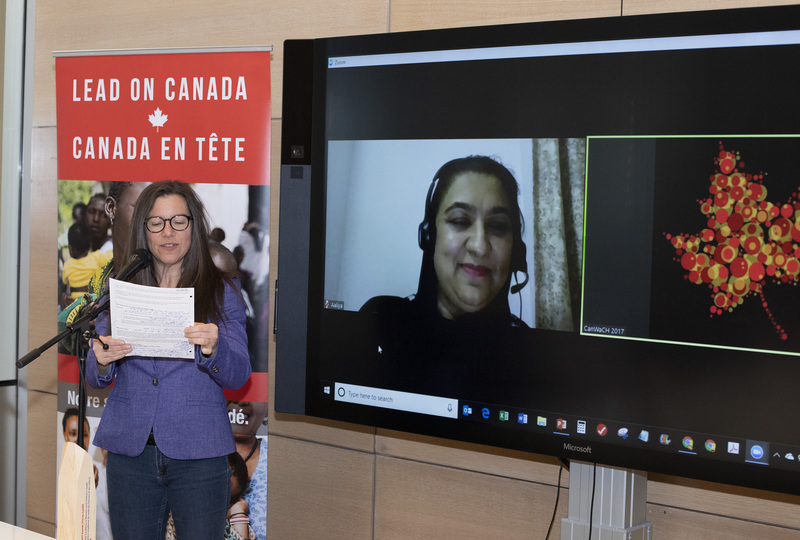 Drawing upon the expertise and collaboration of five organizations — World Vision Canada, Nutrition International, HarvestPlus, the Canadian Society for International Health and the University of Toronto Dalla Lana School of Public Health — the program showcases Canadian leadership and success in advancing women and children's health. CanWaCH is a partnership of 100 organizations and associates working to ensure more women and children survive and thrive in over 1000 communities around the world. More information about the CanWaCH Awards and the work of CanWaCH members can be found at www.CanWaCH.ca. Dr. Aaliya Bibi works with Plan International Canada as a Health Advisor providing technical support for programs in Nigeria, Malawi, Bangladesh, Ghana, and business development for health projects in Sub-Saharan, West Africa, South East Asia and North America. Her specialties include program development, capacity building, research, community development, health systems strengthening, health promotion and advocacy. She has over 15 years of work experience in the international health sector, leading projects and providing technical support on maternal newborn and child health (MNCH), sexual reproductive health and rights (SRHR), health systems strengthening and nutrition, with gender equality, capacity building and behaviour change communication as cross-cutting themes. Dr. Bibi is a medical doctor with post-graduate studies in public health and global health from the University of Wisconsin, and a certificate in adolescent SRHR from the University of Melbourne. Muzna Dureid is a Syrian refugee who arrived in Montreal in November 2016. She is deeply involved in human rights issues and has extensive experience in working with refugees and women in crisis. She is a liaison officer with The White Helmets and is the founder and coordinator of ‘Women Refugees, not Captives’, a campaign seeking to end the practice of forced child marriages in Syrian refugee camps. 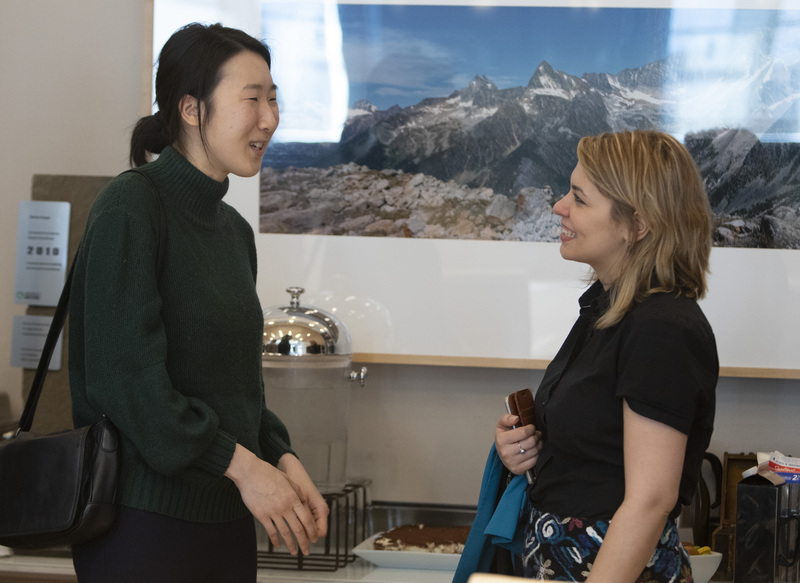 Muzna is also the founder of an Indigenous – Refugees movement, which offers a safe space for women and a series workshops for Youth seeking to build stronger bonds between Indigenous peoples and refugees in Canada. 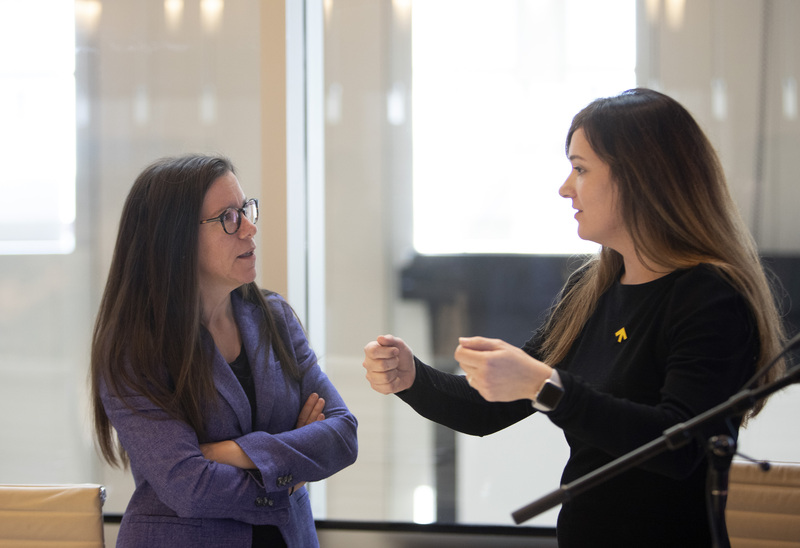 She's a member of the advisory committee for the Local Engagement Refugee Research Network (LEARN) project at Carleton University which focuses on the role of civil society in promoting protection and solutions for refugees and on the implementation of the Global compact for refugees. 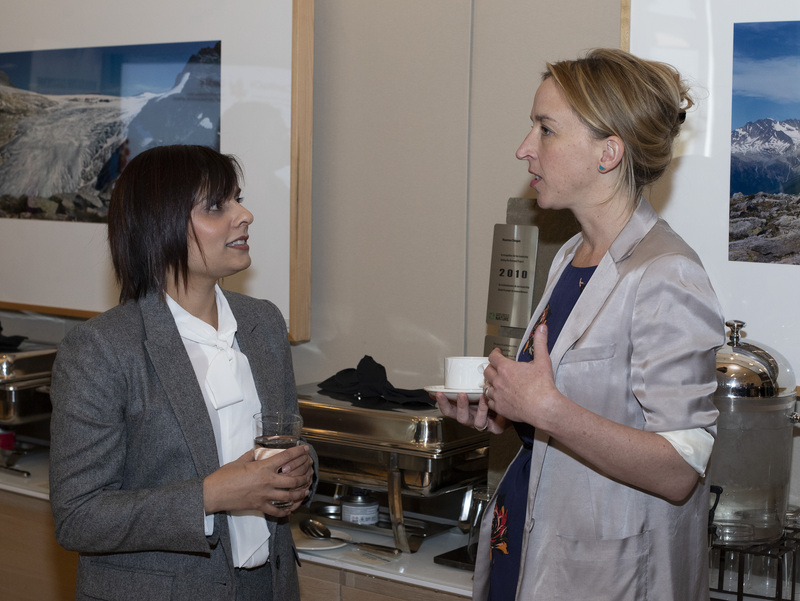 She also has experience in mines risk education and sexual and gender-based violence through her work with the White Helmets and Folkekirkens Nødhjælp-DCA. She was nominated as a member of the Groupe de Trente leaders of Montreal by the Quebec Ministry of Immigration, Diversity, and Inclusion. She was also invited to participate in consultations of Canada’s National Action Plan on Women, Peace, and Security 2017-2022. Muzna is a laureate of the Sister to Sister mentorship program offered by the Nobel Women’s Initiative. She is also part of the Women Deliver Young Leaders group of 2018- 2019 in Canada. Just one year after arriving in Canada, Muzna was nominated to the list of Top 25 Canadian Immigrants. Dr. Vandana Sharma is a global health researcher currently based at the Harvard T.H Chan School of Public Health with expertise in impact evaluations, randomized controlled trials and capacity building in development and humanitarian contexts. Her research has included randomized trials of interventions to reduce maternal mortality in northern Nigeria and to reduce HIV transmission and intimate partner violence (IPV) in Ethiopia, as well as mixed-methods IPV research among Somali refugees. She also developed an innovative, free online course “Measuring Health Outcomes in Field Surveys” on edX.org which uses documentary footage from Kenya and India to provide immersive learning. Dr. Sharma earned her Doctor of Medicine (MD) from the University of Western Ontario and a Masters in Public Health from the Johns Hopkins Bloomberg School of Public Health where she was a Sommer Scholar. She was previously a Senior Research Scientist at the Abdul Latif Jameel Poverty Action Lab (J-PAL) at the Massachusetts Institute of Technology. 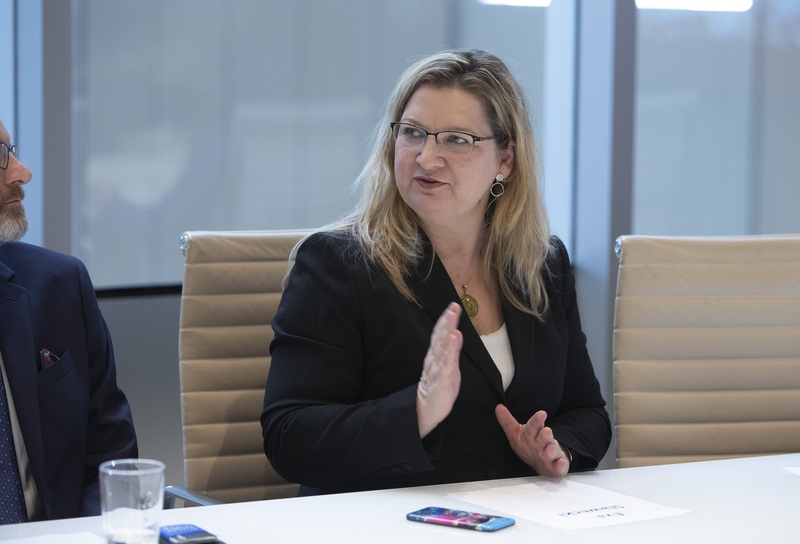 In 2018, she was named to the Canadian Women in Global Health List. 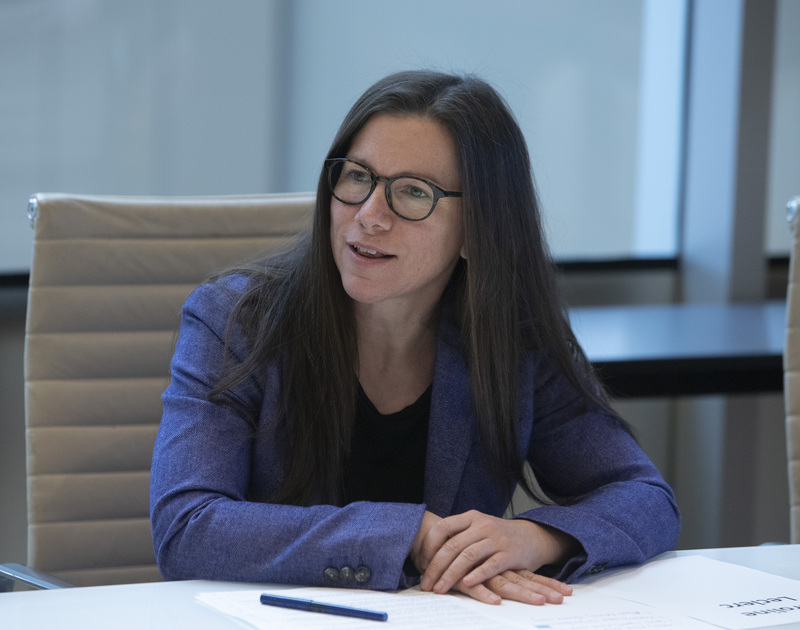 Jennifer Donville is a Senior Gender Equality Advisor at Plan International Canada, currently providing direct gender equality oversight for Global Affairs Canada-funded programs in Senegal, Bangladesh, Ghana, Nigeria, Haiti, Ethiopia and Bangladesh. She has over a decade of international development experience in program management with a focus on gender equality and child rights for projects across Asia and Africa, particularly with respect to girls’ rights, education, and sexual and reproductive health and rights. She holds a Master’s in International Development and a Bachelor of Arts in Political Science. Jennifer’s professional focus has been on gender equality capacity building, training design and facilitation, and the monitoring and evaluation of gender equality results. Enhancing Nutrition Services to Improve Maternal and Child Health (ENRICH) is a multi-year, multi-country program funded by Global Affairs Canada that aims to improve the health and nutrition of women and children in Bangladesh, Kenya, Myanmar, and Tanzania. 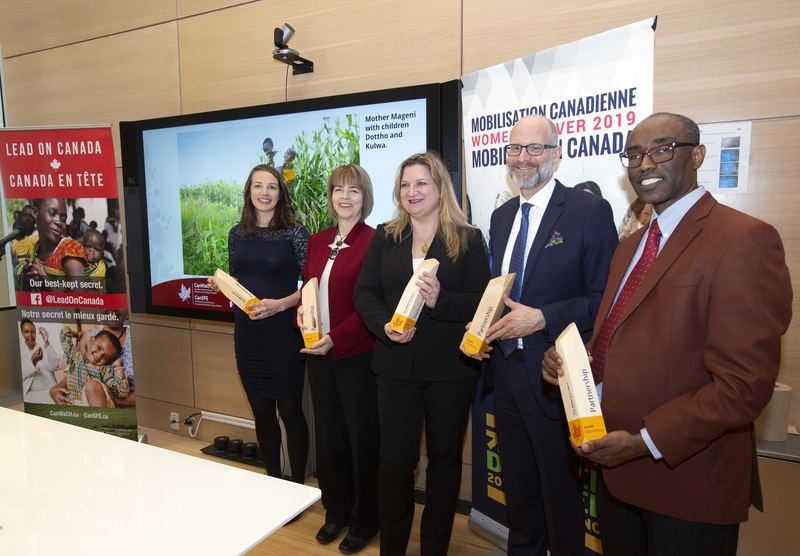 ENRICH is implemented by World Vision Canada, Nutrition International, HarvestPlus, the Canadian Society for International Health, and the University of Toronto’s Dalla Lana School of Public Health. The goal of ENRICH is to contribute to the reduction of maternal and child mortality in each country by addressing issues critical to the health of mothers, newborns and young children. ENRICH seeks to achieve this through health systems strengthening with an emphasis on community systems, improving nutrition of pregnant women, infants and young children during the first 1,000 days from conception to 24 months of age, and ensuring accountability at all levels.